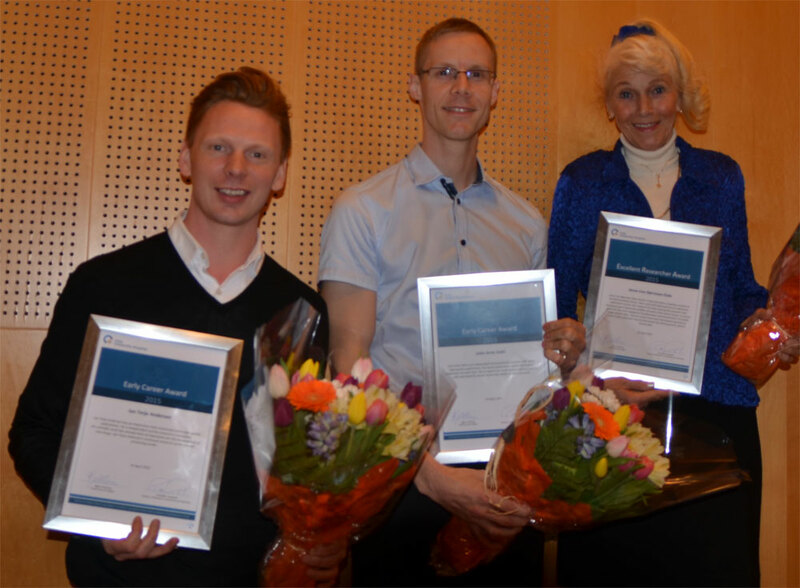 Three scientists received awards for their outstanding work at a ceremony taking place at Oslo University Hospital April 24th. The major prize - the "Excellent Researcher Award" - went to professor Anne-Lise Børresen-Dale. Jan Terje Andersen and Jon Arne Dahl both received the "Early Career Award". The prize money - 300.000 and 150.000 NOK respectively - is earmarked for research activities. This is the third year such prizes have been distributed in order to honour excellent scientific work.